A diagnosis of heartworm infection in shelter dogs at municipal animal control facilities can be devastating, and most animals with this disease are euthanized. Not many animal shelters or rescue groups can afford the expense of heartworm treatment, and if they can, may be unable to hold an animal through the entire treatment protocol. At the University of Florida, veterinarians and students of the Veterinary Community Outreach Program have developed a successful and affordable treatment plan for these dogs and have treated over 500 animals with heartworm infection since 2008. Find out how they do it and how you can work with local rescue groups in your area to provide treatment for dogs in need in this presentation from Dr. Natalie Isaza at the University of Florida's 7th Annual Maddie's® Shelter Medicine Conference. Review the heartworm life cycle and discuss treatment protocols developed by the American Heartworm Society. Learn about specifics of the heartworm treatments performed on dogs belonging to local rescue groups in Alachua County, Florida. Discuss the data collected on over 500 dogs treated for heartworm since 2008 in Alachua County, Florida. Discuss outcomes for the treated dogs. Dr. Isaza is the clinical service chief and founding faculty member of the Merial Veterinary Community Outreach Program (formerly known as the Merial Shelter Medicine Clerkship) at the University of Florida. She received her DVM degree from UF in 1994 and completed a rotating internship in small animal medicine and surgery at Cornell University following graduation. 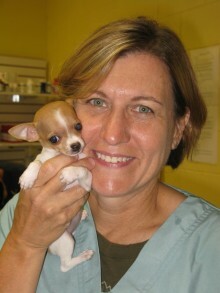 Since the program's inception in 2003, she and her students have spayed and neutered over 20,000 animals, treated over 500 dogs for heartworm infection (since 2008) and performed over 1000 "other" surgeries to prevent the euthanasia of homeless animals in Alachua and surrounding counties of Florida. In addition, they participate in a free weekly veterinary clinic for the pets of low income and homeless members of the community in and around Gainesville, Florida, providing routine veterinary care and targeted spay/neuter for the pets of these clients.